Greetings earthlings! Let’s start off with a round of applause for that absurdly awesome #SuperBloodMoon last night. If our sky was a musician, it would have definitely dropped the mic after last night’s performance. Am I right? 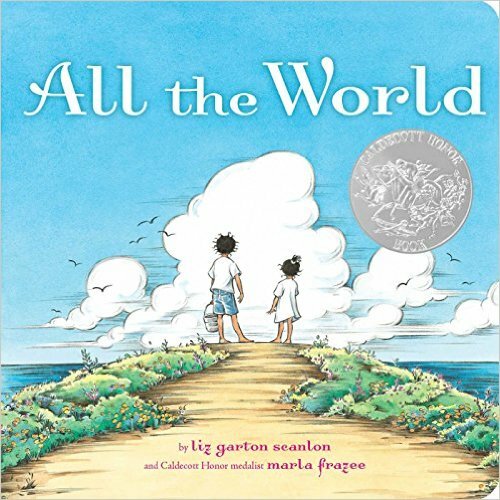 In entirely unrelated news: As part of my recent self-imposed kid-lit immersion, I’ve begun to keep a running list of children’s books that get me all fired up inside. Maybe they inspire me, maybe they teach me something new, or maybe they somehow manage to make me chuckle amidst the craziness that is raising-a-tiny-human. Irrespective of the reason, I find these books to be seriously legit and think they deserve some props. Why it’s #winning: Beautiful message, beautiful rhythm and beautiful images. The trifecta. Why it’s #winning: First of all, I am a sucker for bringing inanimate objects to life. Second of all, peach crayon gets naked. ‘Nuff said. Why it’s #winning: Mother Earth is a helluva lady and teaching kids to show her some R-E-S-P-E-C-T is straight up important. Living in San Francisco enabled me to incorporate composting into my daily life without hesitation. Unfortunately, that’s not the case everywhere or for everyone; let’s use books to ignite the conversation organically with the next generation! Why it’s #winning: I’m not the tallest gal on the block. In fact, I’m frequently mistaken to be up to ten years younger than I really am. Fingers crossed carrying around my new little 11-month old accessory will help with that. 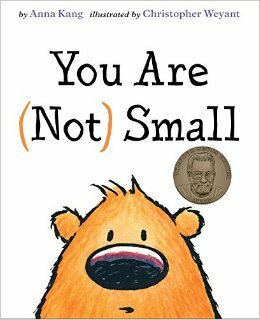 But alas, I can totally relate to the little fuzzy purple guy in this story. The real kicker, though? It’s all about perspective, baby. What a great message! Why it’s #winning: The whole book just leaves me with a warm, cozy feeling inside every time I read it. I die for this line: “I wish you more treasures than pockets.” Daaaa best. And there you have it! Mic. Drop. Disclaimer: This list is based entirely on the opinions of a focus group of one (me)! Call it 1.5 if you’re feeling generous and count the opinions of little Levi too. 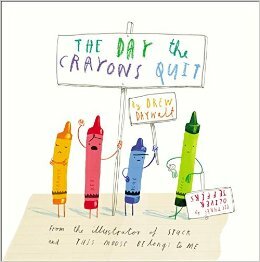 In the spirit of expanding that focus group…for statistical significance, of course…please feel free to leave a comment outlining any picture books that are currently #winning su corazon! I would for reals love to know. Of course! What’s her favorite book so far? Wow! 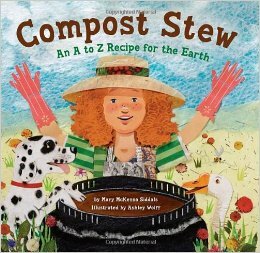 What a thrill to discover my COMPOST STEW in the spotlight among such stellar company! Many thanks for including it on this lovely hand-picked list, Girl Sam, and kudos to all 1.5 members of your focus group for their impeccable taste. Your kind words and enthusiasm are ever-so-greatly appreciated. Absolutely! So great to connect with you and thank YOU for writing about such an important topic! 🙂 Happy Fall! It’s an honor to be included in this group – thanks! Thank you for creating such a beautiful story! Love love love. The momma book (aka love you forever) by Robert Munsch- especially when you learn the story behind it. And also, nancy tillmans wherever you are my live will find you. I have a second copy of this one and I write notes in it on special occasions. I’ll give it to her someday- college, wedding, first baby- haven’t decided yet… Now I need to find one for Holden! Let me know if you have any suggestions! I adore Nancy Tillman! What a cute idea to write in it 🙂 You are a creative little mamacita! Perhaps I’ll steal with pride… Miss you Mags! She’s the best isn’t she? I wrote to her and she wrote me back within a day. I told her her kids are lucky because she obviously loves them very much! She really hits the nail on the head when it comes to teaching your kids that they matter and giving them confidence. This is amazing. I love that you sent her a note – I’m sure it made her day! I love to give the book by Robert Munsch “The Paper Bag Princess”. It has something for boys and girls. A prince gets kidnapped by a dragon, but is rescued by a very brave and clever princess! I discovered it with my daughter probably 25 years ago! Hey girl! Totally creeped you to see how you were doing. 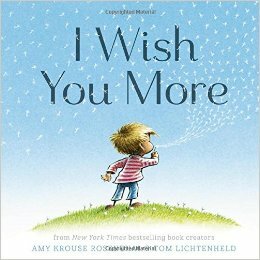 Continue to be proud of my little grasshopper :0) Two of our favs are Only One You by Linda Kranz and It’s not a Stick by Antoinette Portis. Another good one is Good Night,Good Night Construction Site by Sherri Duskey Rinker and Tom Lichtenheld. Say hi to Sam squared!